Oh, the joys of wedding planning! Henry and I have had a longer engagement due to when our venue was available, which has been a blessing and a curse at the same time! All this waiting lets you second guess every decision but it also allows you to do your research. With this whole wedding planning, I have found some tools or helpful hints that I wanted to share with you whether you're in the process, or it's your turn soon. I'm sure other brides could help chime in on this post and help us all out! 1 - The Knot: Of course this site has a lot of different things that you could need. Help with guest list, so many advice blogs, websites and a budget. My favorite thing I use them for is the budget. First, you set your budget and it automatically fills in the rest. You can add your vendors and the price. I think this is the best tool for the budget. There is also the wedding wire but I found The Knot to be more accurate. 2 - Zola: When you go to register some of the stores will have to tell you based on your guest how many gifts you should have in different price breakouts. For example 10 in $50 and under 20 in $100 range and 20 $100 +. ( I totally made that up please don't listen to that!) But its really helpful to make sure that you have enough for showers and the wedding. And since I'm cheap I keep putting way too much in the $50 and under so it helps to keep me in check. 3 - Crate & Barrel: Speaking of registry Crate & Barrel does this really awesome thing where they host events before the store even opens and its just for engaged couples creating their registry. When we went the employees were so helpful. They didn't bother you but they also help us with setting a table and really visualizing this. I liked how hands-off they were because you didn't feel pressured but they were ready to jump in and were so informative. 4 - Your Vendors: If you have any questions or are thinking about certain ideas, ask your vendors! They are the pros and can help you with making your vision come alive as seamlessly as possible! 5 - Wedding planner 101: My friend and day of planner Heidi of 44th & Luxe Events has a great blog on her website that is filled with tips. I love these Wednesday post because I save them and use the tips for when it applies to something I'm working on. 6. Tip Tuesday: A wedding photographer in my creative group Amanda Donaho Photography has a great Instagram story where on Tuesday she shares a tip and really explains it. I feel like sometimes people give you tips but they don't explain why so sometimes the advice seems useless. one of my favorite tips recently is about placing some tape at the altar so that you are centered for photos! I've made a mental note and will for sure use that! Here's her Instagram. 7. Addressing Save The Dates: So we used Minted for our save the dates and there are awesome calligraphers out there don't get me wrong. But I liked the Minted for a more modern look and if you got a 5x7 save the date they addressed the envelopes for you!! This was such a time/money saver. And it made the envelopes look so nice and professional! We also got this stamp made for our return address, which also helped but I will say I had trouble with the ink drying. For the timeline, I used The Knot but I really found it not helpful. for example, we got engaged in April and our wedding is in this coming November. The Knot told us to get engaged in August, umm well that already happened that why I'm here! Some of the vendors I wanted I booked right away because I knew I wanted them. If I follow The Knot I wouldn't have booked them for months and they could have been taken. So I believe if you have something in mind GO FOR IT! And The Knot can help with other things. THE HONEYMOON - YAY! So Henry and I haven't had much practice planning vacations we have always done really quick trips so planning a vacation from scratch is a little overwhelming for us and one thing that really helped was going to AAA and talking to a travel agent. They had a lot of helpful information and helped steer us in the right direction. Also if we book with them they will help save us a lot of money! I hope some of these were helpful, I of course browser on Pinterest a lot and read a lot of blogs. The closer I get to the date the more information Im sure I will have to share! Hey friends! So if you have seen my Instagram before, I am pretty obsessed with notebooks. I'm constantly buying new ones but I use them all the time to jot down ideas, notes, and to-do list. I find the act of writing things down helps to get to out of my brain and takes a weight off my shoulder. I just don't get the same satisfaction from writing list on my computer. I'm here today to share with you some of my favorite notebooks and why. I will say my favorite ones are spiral notebooks because I love turning the pages and making the notebook smaller if necessary but I couldn't find a lot online! I usually get my notebooks at urban outfitters or target but I have some other good ones too! REMEMBER WHEN SHOPPING: Use Ebates for cash back and coupons! Honey is a great back up when Ebates doesn't work on the site. Spiral Notebook - On the note of spiral notebooks, here was one of my favorites. I love sugar paper (sold at target) I just love the simplicity of it. Great for all the random things. Mindfulness - I like this one for meditating or when Im trying to be more mindful when I start or end my day.This one is great because it helps prompt you but it also gives you space to actually write. Bullet Journaling - A post is coming soon on this but I have seen that bullet journaling is best with just dots inside instead of lines so this is what I picked up! And I want to order one from May Designs when I finish this one! I just love May Designs you can do so much with their notebooks. Wedding Planning - I have ordered this one because I think it will help me to keep everything ordered by categories. In my purse - I love the size of these notebooks, they are thin and super cute. I leave these around just in case I ever need a pen and paper. Comes in handy! Agenda - This is the agenda I want to get for 2018. I'm very task focused and this layout is just perfect for someone like me. I also really like the goal aspect of it as well. Not to mention its really cute. I also have used the productivity planner and the happiness planner. The happiness planner is great in theory but its just a lot for every day. Things come up or it's just not convenient. I really like the productivity planner because it helps prioritize my day and keep track of my time. The beginning of the journal is super informative about productivity as well! Below are a few of the journals I have mentioned and some pens I love to use too with the journals! So tell me are you a journal junkie like me? Where do you find your notebooks? DISCLAIMER: This post was not sponsored. The links may contain affiliate links, which means that if you click on one of the product links and make a purchase, I may receive a small commission. This helps support the blog and allows us to continue to make post like this. Thank you for the support! 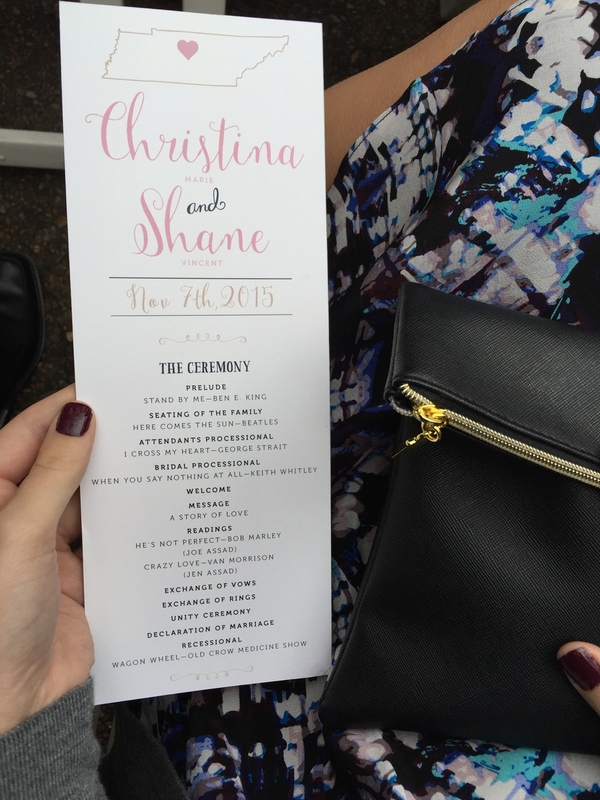 This weekend I attended a beautiful wedding in Nashville. It took place in an old mansion close to the city. It had such a romantic feel to it, with the color scheme of blush and navy. I loved the chalkboards everywhere and the sparkler send off. 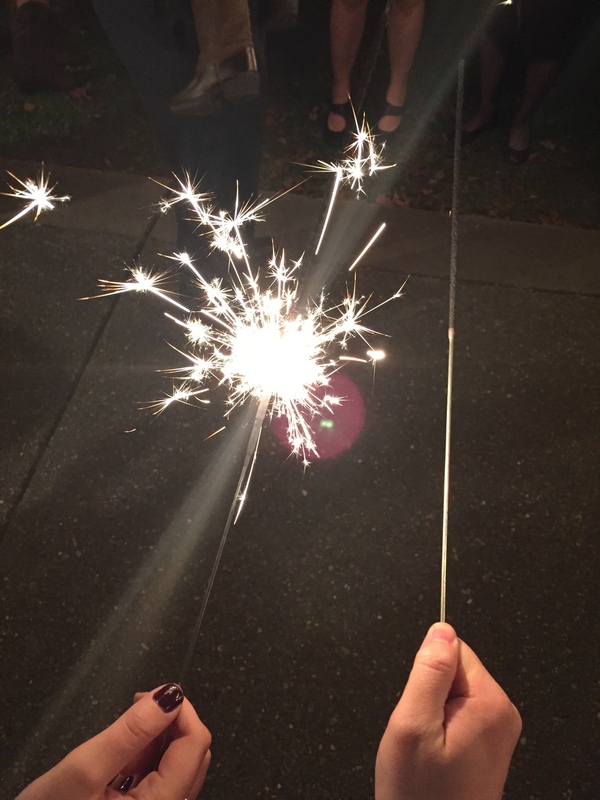 The send off was much more difficult than I thought it would be, I would recommend to anyone who wants to try this to get long sparklers like they did. I just love the feel that candles and wood give off, is that weird?